Meet the Team — Glitter Box N.O. Glitter Box N.O. is the latest project for Lila and the Heymann Foundation. With a background in art history and social work, creating a space where community and making merge was a natural progression. 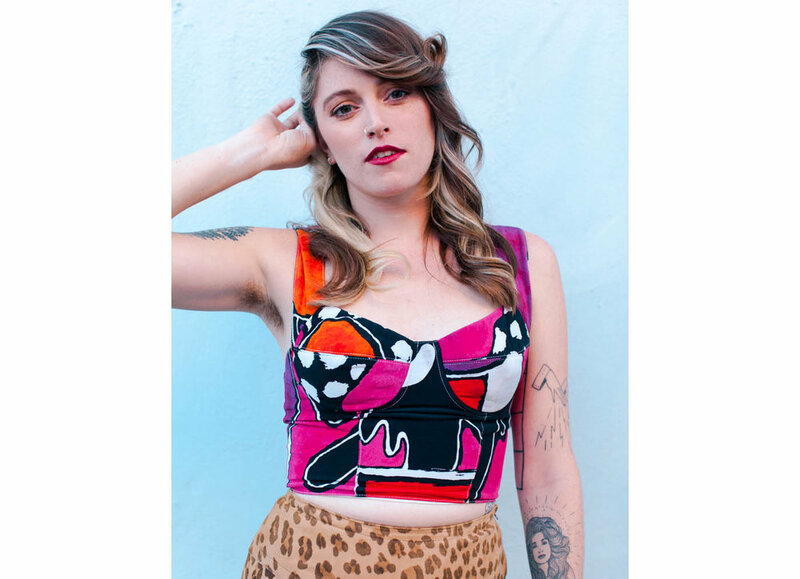 More recently, Lila has focused her energy on femme focused artists, entrepreneurs, and nonprofits and Glitter Box has become the home for this endeavor. Born in Lafayette in the Stone Age, Lila went to college in Baltimore and lived in New Orleans for many years before moving to Washington DC and eventually New York City. These days, Lila divides her time between New Orleans and Charlottesville, VA where she lives with her husband Harold Herz and their 9 year old son, Henry. After working with Lila Heymann and the Heymann Foundation for many years as a curator and gallery manager for the Foundation Fine Art Gallery, Alice spearheaded the rebranding of 1109 Royal to the womxn-focused shop space, Glitter Box N.O. Inspired by community-focused art practices, a desire to learn about and support intersectional feminism in New Orleans, and the fundraising efforts of the Foundation, Lila and Alice co-founded this project in 2016 and have been honored to watch it blossom with the love and care of our community since. After recently moving to the Scotland, Alice is excited to continue supporting the shop and curating from afar while exploring womxn maker spaces and communities in her new home. She hopes to further her work as a doula, deepen her understanding of intersectional feminism on a global scale, and explore the divine feminine through her own making practice. Kate picks up all the bits and bobs around the shop. She keeps track of all the goodies that flow in and out, photographs our artists work, and seeks new ways to promote and connect our artists. In her downtime she can be found facilitating Ladies in the Arts New Orleans (a networking group for all kinds of creative womxn), assisting local artists with their projects, dancing in the streets to celebrate body hair freedom with Krewe of Full Bush, or embroidering monsters and flowers onto her clothes. Karin is the gal behind the emojis, managing Glitter Box N.O.’s social media accounts and other marketing efforts. She invites the Glitter Box community to reach out to her with questions, concerns, ideas and silly memes! Born and raised in New Orleans, Mardi Gras is her favorite holiday and Jazz Fest a sacred family tradition. When she’s not spreading the glitter gospel she is assisting in marketing and sponsorship development for the Mid-City Bayou Boogaloo and other local festivals, or diving into piles of beautiful vintage clothes at Ginaware Clothing & Costume, where she has worked for over 10 years.